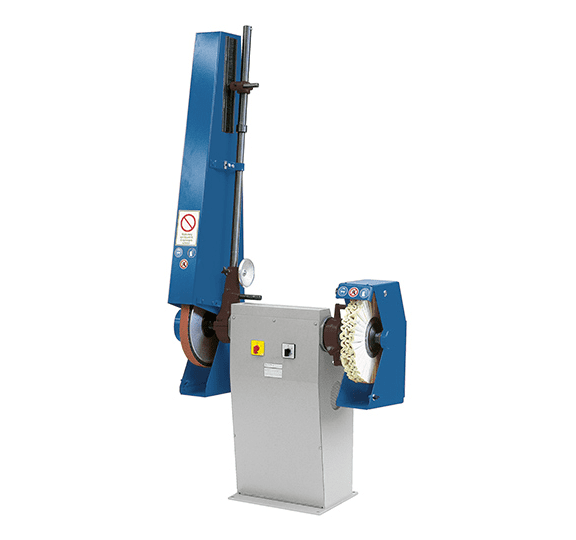 The contact belt grinding and polishing machine of the 72730 series is a versatile belt grinding and polishing machine with motor outputs from 2.2 to 5.5 kW. The 72730 series is a universal machine for industrial use due to its double-sided design with optional combination of belt grinding and polishing, belt grinding only or polishing only. Standard sanding belts with a length of 3,500 or 4,000 mm and a maximum width of 100 mm can be used on the machine. 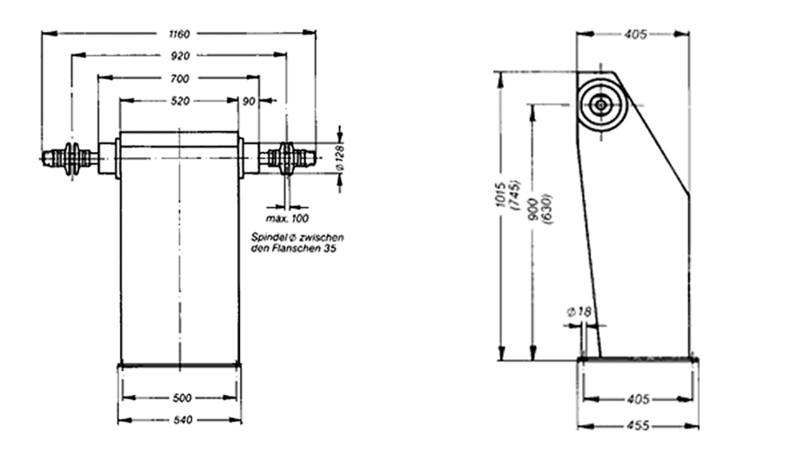 The maximum contact wheel dimensions are 450 x 100 mm with a bore of 35 mm. The speed is controlled by a three-stage V-belt drive and offers a high degree of flexibility. Optional three spindle speeds possible at motor speed 1,500 rpm. A frequency converter is available as an option, with which the speeds can be infinitely varied from 900 – 2,800 rpm. For the grinding of aluminium, we optionally offer you additional equipment that meets the requirements of BGR 109 – the former ZH 1/32 (guideline for the prevention of dust fires and dust explosions during grinding, brushing and polishing). This machine is available in a special version for grinding magnesium. It complies with BGR 204 guidelines.